Convalt Energy LLC has spent over 3.3 trillion kip (US$400 million) to conduct a feasibility study into the possibility of developing a large scaled solar power project in Bolikhamxay and Attapue provinces. 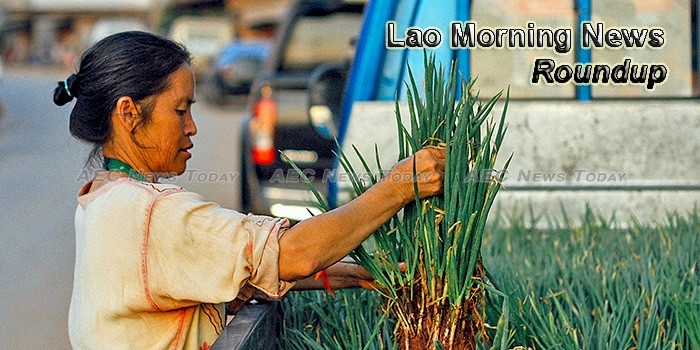 President Bounnhang Vorachit has advised authorities in Vientiane’s Hadxaifong district to review irrigation development and the use of agricultural land, aiming to boost crop yields. Infrastructure consulting firm Surbana Jurong has signed a memorandum of understanding (MOU) with Singapore-based Mekong Group and Laos’ Phongsavanh Group to develop infrastructure projects in Laos. Education authorities will conduct a survey among volunteer teachers to identify the problems they face in being upgraded to official civil servant status. The Republic of Korea and five Southeast Asian countries surrounding the Mekong River have adopted a second action plan outlining the long-term vision and priority projects for their cooperation until 2020. Laos is unlikely to suffer from restricted financial support due to an expected cut in aid if the country graduates from the UN’s Least Developed Country (LDC) status in 2020 as targeted. The University of Health Sciences (UHS) is set to offer the first Master’s in Public Health programme to strengthen the development of human resources in the health sector. The British Embassy last Wednesday hosted a farewell reception for 5 new Lao Chevening scholars who will pursue master’s degree courses in United Kingdom.